It’s giveaway time! 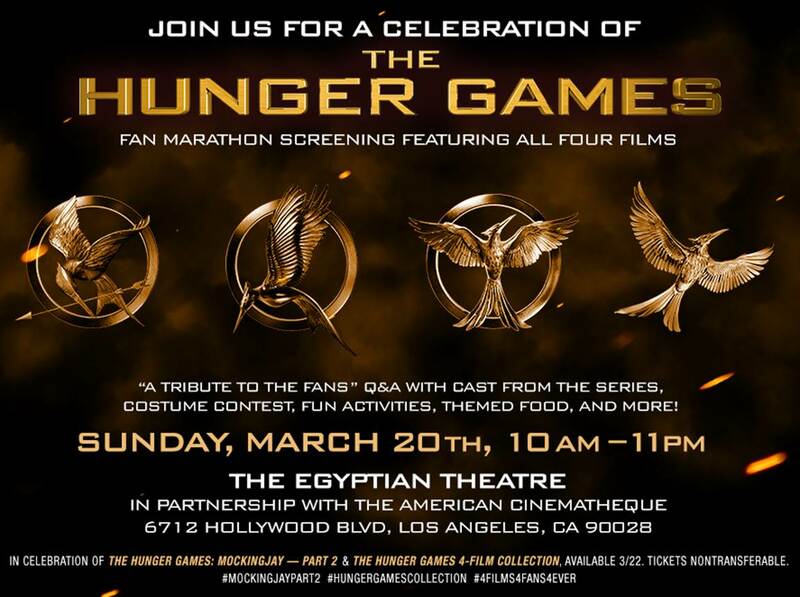 Here’s your chance to win a ticket for two to the Hunger Games Fan Marathon Screening taking place in Los Angeles on March 20th. This event will include screenings of all four Hunger Games films, as well as other activities for the fans and even a Q&A with cast members. This is how this giveaway is going to work (please read the instructions carefully as we have to be really strict with the rules this time): Below, you will find a THG trivia question. If you think you know the right answer, you must give us the answer in a comment to this post. We will not accept replies via Twitter or any other social media platforms. Once you’ve added your comment below, I (Carla) will reply to the first 5 people who answer the question correctly, asking for your Twitter handle. 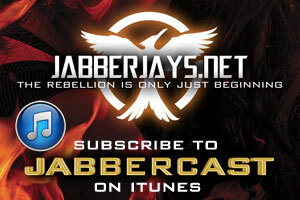 You must have a Twitter account in order to participate, as it’s the fastest way to get the RSVP link to you. We will send further instructions to get your ticket via DM; in order to receive a DM from us, you must be following our Twitter account @HGJabberjays, otherwise we’ll be unable to message you. Please note that the giveaway is only for tickets to the event. It does not include travel to Los Angeles or accommodation while in the city, so if you do not live in L.A. you would have to procure travel and accommodation on your own. If you think you know who it was, hurry and reply below with the answer, and hopefully you’ll be one of the first five correct answers. May the odds be ever in your favor! 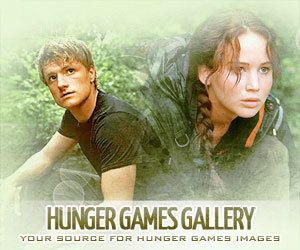 Previous: ANNOUNCEMENT: Giveaway for Hunger Games Fan Marathon Coming Tomorrow!